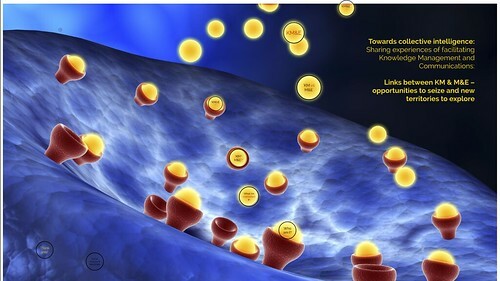 The next discussion focused on the impact and change pathways of IKM-Emergent. Each member drew a picture of their reflections about the issue, whether specifically or generally, whether practically or theoretically, whether currently or in the future. We produced eight rich drawings (see gallery below) and discussed them briefly, simmering conclusive thoughts about impact and the influence that IKM-Emergent has or might have. This very rich programme is also an intermediary step towards a suggested extension for the programme (“IKM 2”). 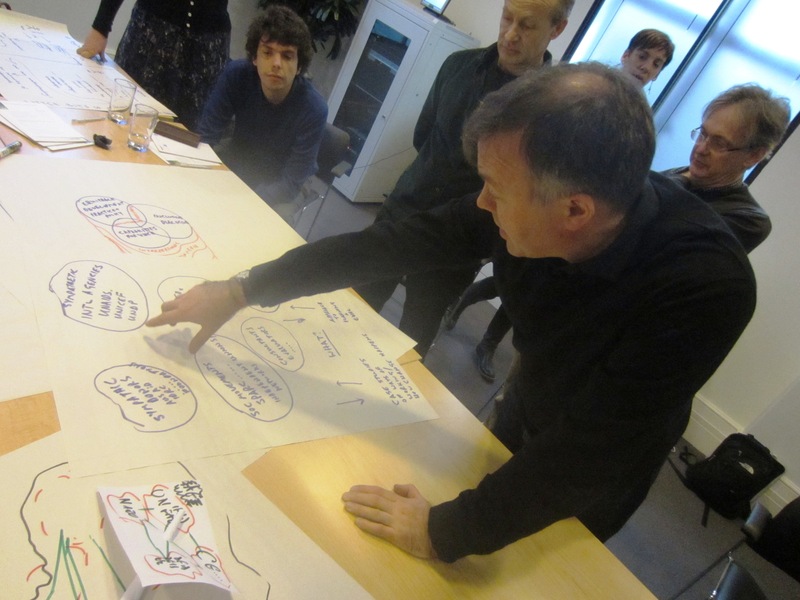 In this post I’m summarising quite a few of the issues tackled during the first day of the workshop, covering the first two points on the list above. Linear approaches to development – suggesting that planning is a useful exercise to map out and follow a predictable causal series of events – are delusional and ineffective. We would be better advised using emergent perspectives as they are more realistic, for lack of being more certain. After trying out so many ineffective approaches for so long, it seems clear that aspirational intent might act as a crucial element to mitigate some of the negative effects of linearity and predictability. 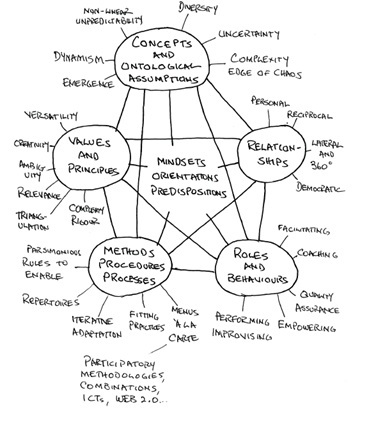 Planning tools can be seen as positivist, urging a fixed and causal course of events, indeed focusing on one highlighted path – as is too often the case with the practice around logical framework – or can have an aspirational nature, in which case they focus on the end destination or the objective hoped for and strive to test out the assumptions underlying a certain pathway to impact (at a certain time). Trust is not only a result of time spent working and discussing together but also the result of surfacing the deeper values and principles that bind and unite us (or not). The conception of development as being results-based or relationship-based influences this, and so does the ‘funding time span’ in which we implement our initiatives. Sustainable, effective development interventions are informed by careful and consistent participation and engagement, recognising the value of multiple knowledges and cherishing respect for different perspectives, as part of a general scientific curiosity and humility as to what we know about what works and what doesn’t, in development and generally. Values and principles are guiding pointers. 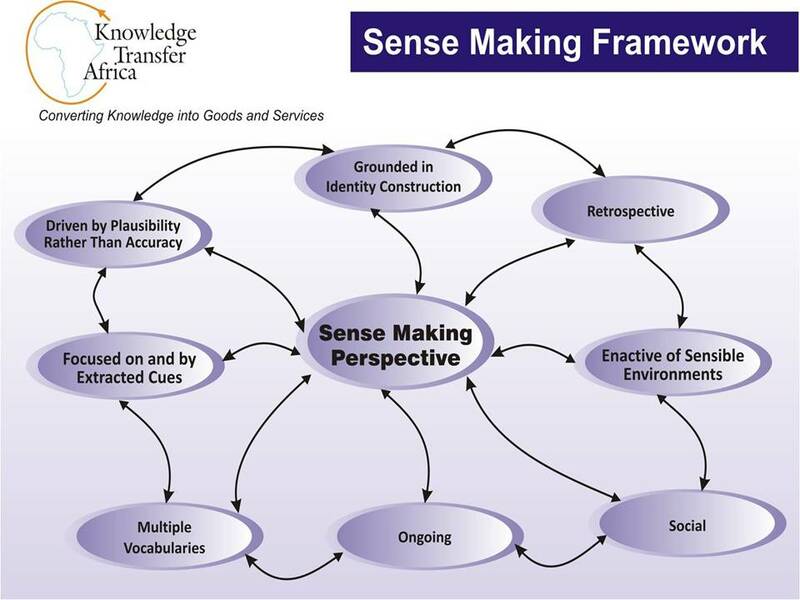 Respect (for oneself and others) and humility or curiosity are great lights on the complex path to collective sense-making (as illustrated by Charles Dhewa’s graph below). They guide our initiatives by preserving a learning attitude among each and every one of us. Perhaps development should grow up to be more about ‘ignorance management’, an insatiable thirst for new knowledge. The humility about our own ignorance and curiosity might lead us to unravel ever sharper questions, on the dialectical and critical thinking path, rather than off-the-shelf (and upscaling-friendly) answers – which we tend to favour in the development sector. The importance here is the development of shared meaning. As highlighted in the previous conversation, not every step of a development initiative requires multi-stakeholder participation, but a useful principle to invite participation and engagement is iteration. By revisiting at regular intervals the assumptions we have, together with various actors, we can perhaps more easily ensure that some key elements from the bigger picture are not thrown away in the process. This comes back to the idea of assessing the level of complexity we are facing, which is certainly affected by a) the amount of people that are affected by (or have a crucial stake in) the initiative at hand and b) the degree of inter-relatedness of the changes that affect them and connect them. ”] counts and his stark comparison between a positivist and adaptive pluralism perspectives are also very helpful resources to map out the issues we are facing here. And here we go again! Second major process documentation workshop after the Lodz workshop in July 2007, a workshop where IRC and partners tried not so much to settle a definition for the concept as to allow participants to play around with three media: text, video, photography. This time, the workshop is sponsored by the WASHCost project and includes participants from other background (see my latest blog post about this). On this first day, we have covered the why (aims of process documentation), the principles of P.D., the basics of interviewing and the initial steps into a process documentation plan. A definition may emerge. The exercise about prioritising the aims – from a list of over 20 aims that our facilitator Peter McIntyre collected from five different projects using process documentation – went amazingly well and placed a few objectives high up – does this mean an agreement comes naturally or certain messages have been crafted well enough or repeated often enough to influence our participants? Either way, this is a very encouraging result. The lines between communication and monitoring are still very much bordering process documentation work. As my colleague Nick Dickinson put it, process documentation helps identify interesting areas to document – leading to crafting communication messages – and it helps again at the end of the loop to monitor how stakeholders have responded to our interactions. 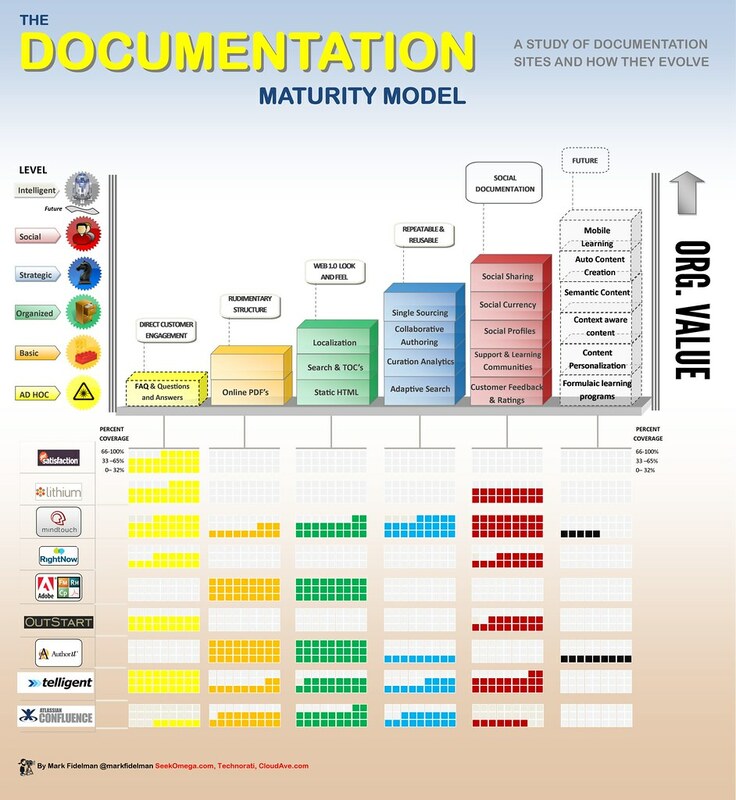 Principles of process documentation are emerging, and the real of information integrity is getting unpacked: one needs to check that outputs are correct (either directly with the stakeholders concerned or at least in the team if the output does not make it publicly); it is clear that some of your partners will not accept your (partial) vision; inside the team, constructive criticism should be encouraged: if the process documentation specialist is roughly a 75% team member role, s/he should also play a 25% external ‘ journalist’ role where s/he feels free to provide constructive feedback. The importance of short feedback loops is essential! Regardless of the final process documentation outputs, key insights from process documentation work should quickly inform the team operating. This is part of the constructive feedback mentioned above. The name, however unsexy it is, has made it in the common language – granted, in certain circles only. The India team didn’t want to change the term ‘process documentation’ because it is known by their learning alliance partners and changing names would create more confusion. In spite of all these very encouraging signs, it is remarkable to see that when it comes to process documentation planning (perhaps an oxymoron? ), most teams quickly jump on outputs/products, reinforcing the quick consumption culture of the development sector. Slow food (read: learning) is not on the menu quite yet. Adopting a learning culture is not yet an easy reality to implement. According to one of the external (non WASHCost) participants (in charge of communication activities in her organisation), this kind of process documentation activities was not in the agenda because it takes too much time. Ooh, that battle is far from being won, but hey, one starts somewhere… and still improvements are noticeable. Anyway, with an approach (process documentation) that’s increasingly meaningful, I personally think that it’s never been as good a moment to name this thing differently. No one has come up with alternative names yet, in spite of our repeated urge to devise new names. My personal brainstorm outcomes: process enquirers (booo), rapid reporters (duh), effective(ness) detectives, action investigators, agents provocateurs (revealing the invisible), change rangers (scouting for and identifying trails), trail hunters… the list could go on and on I guess. It would be fun doing an exercise about the kind of figure (hero, character or even animal) that process documentation specialists think about when considering their function? 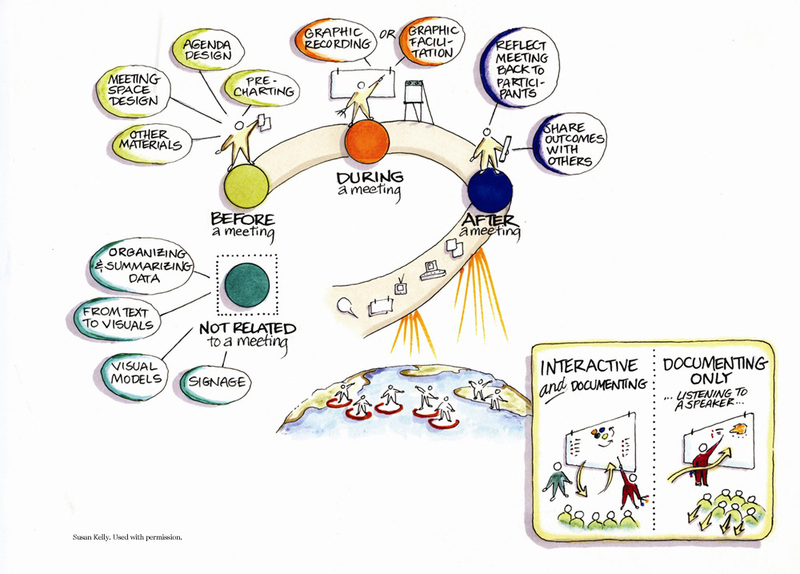 At any rate, of all three key PD actions (observe, analyse, disseminate), I would say observe/intervene is the key one. And for that reason, detective or ranger sounds like the closest match. Capitalising on process documentation – and changing names please! Next week, a group of 4-5 of us from IRC will be in Accra with all country teams from the WASHCost project to work together on ‘process documentation’. Starting from a training workshop, the idea behind this workshop has moved forward to become a kind of orientation and training workshop. The objectives are manifold: a) agree on a working definition of process documentation (what the heck is it?) b) train all staff about the use of photography, video, interviews etc. and c) decide what we are going to document in WASHCost, starting from the ‘hypothesis of change’ of the project. It will be the largest workshop dedicated to process documentation since the one we organised in Poland in July 2007 – which resulted in a very nice blog. It will not only be about the practice but also a little bit about the theory of process documentation which really needs some agreement. That’s really one of the problems with new trensd and buzz words: everyone uses them in a slightly different way. In Accra, we hope to come up with a common understanding. Finally, some partners from CREPA, WaterAid and the resource centre network in Ghana will also participate to the workshop. They should help challenging our ideas and ways of working, and hopefully they will also spread the word about this process documentation work and perhaps take it up in their own line of work. Another interesting aspect from this work is that it should very nicely complement the upcoming publication about impact assessment planned for later this year. 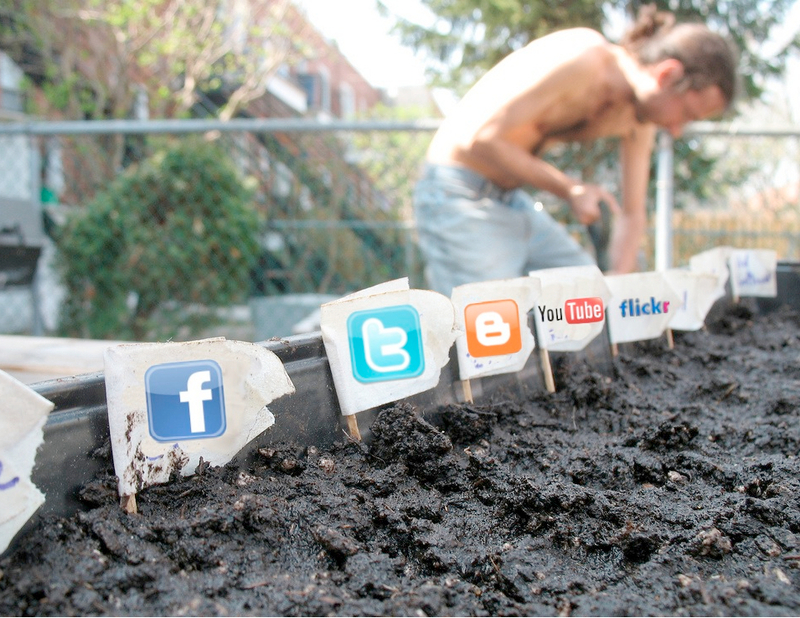 Process documentation – Sandbox to influence donors? I am currently involved in some process documentation work for this project in Ethiopia, RiPPLE (www.rippleethiopia.org) and back in my organisation there is a lot of discussion as to what process documentation is or is not. In order to underestand what it is, let’s rewind here a bit: the term process documentation refers to a very old habit: reflecting about events and happenings and understanding the deeper causes behind. Process documentation was first carried out as such in the EMPOWERS project (www.empowers.info), with help of one full time ‘process documenter’ in each of the three project countries. Later on, process documentation (process doc or PD as it is sometimes referred to) has been included in a number of projects we developed with partners. A training course in Lodz (Poland), in 2007, tried to explain a bit better what PD is and how it works. The workshop was highly stimulating and fun (check http://processdocumentation.wordpress.com/ for more info), but frankly it didn’t unpack the concept of process documentation for us participants. So we are now at a point when the concept is developing in many different directions – and that is good, following a divergence-convergence evolution pattern here? – but it is interesting to see the various interpretations of it. “Much like monitoring, process documentation consists in collecting information and analysing it to understand the underlying factors that enable or hamper work. Contrary to traditional monitoring, however, process documentation is mostly based on qualitative data collection methods and it is totally focused on learning, as opposed to accountability. 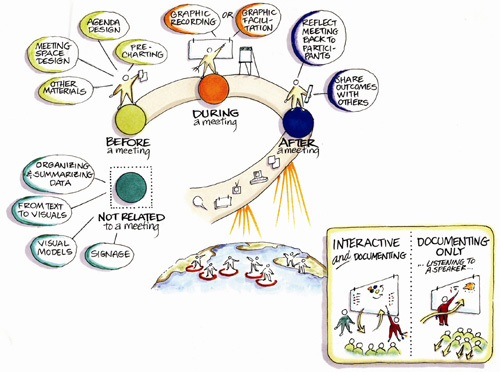 Much like (some) communication activities, process documentation uses interviews, storytelling, blogs and other ways to collect information. However, contrary to communication, not all information collected through process documentation is actually published and disseminated because it holds a lot of sensitive information and potentially political value. Some is, some is not. So process documentation is a sort of informal, narrative-based monitoring exercise that collects some information that can be partly used for outreach and communication objectives. In an ideal world, where learning would be central and everybody would be ready to accept the consequences of creating a learning environment, process documentation would overlap completely with monitoring (i.e. qualitative monitoring methods would be accepted just as well as quantitative ones) and a lot of outputs from it would be derived in communication outputs. Actually this is from the beta version of the information sheet and I doubt this will make it to the final version, due to the informal language. It is that formal-informal barrier that we should try to break, because that is what creates hurdles to communicate better from local communities all the way to donors. And for that particular aspect, I’m not sure process documentation itself is the best approach, because it is more observing than taking an active part in the debate (or is it not?). An eternal struggle in Knowledge Management remains the balancing act between actually doing things: implementing a project, organising an event, writing a case study and documenting those: reflecting about them, collecting insights, analysing them, taking a neutral role to observe what is going on. At an individual level, it is hard enough to find the time to document a lot when taken prisoner of the ‘do-mode / do more’: work and other pressures usually have the upper hand on the struggle and the Do wins, leaving the familiar impression that it would be excellent to document what is going on against the risk of being confronted with the same situation in the future. When it comes to an organisation, roles may be split: some may be documenting the work of others while a core of ‘doers’ are actually carrying out a number of activities. 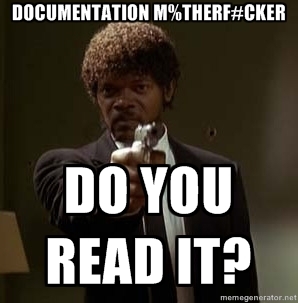 Both roles are important – but it still remains hard to justify documentation against delivery. When one adds the issue of reporting and monitoring – which for some may be felt as imposed documentation – the need to document for real learning purposes becomes even more difficult to justify and make happen. And yet it is in this documentation that the long term patterns that come back and haunt our work are to be discerned. It is in that (light) documentation that one learns how to improve the way s/he carries out his/her work. In a number of projects where I am involved, we carry out ‘process documentation’ work, which is a very murky concept at the junction of communication and monitoring, addressing sensitive issues but not necessarily allowing to get them in the public. This is the kind of documentation that needs to inform the ‘do’ mode. While still making sense of this concept and its potential implications, one thing is clear: our motto should be “do less, document more”. It is in the documenting that one understands how one is doing and how to improve it next time. The more we do, the less we can document – until we have convinced donors that it is essential to dedicate more funding on documentation of issues, in particular processes.